Small Tools — C.E.M.P. Central Inc.
Spreadsheets and other practical tools you can use to crunch numbers, solve problems and analyze situations. The Cumulative Cost of Repair Parts and Labor Curve is used to estimate the cost of repair parts and labor for a machine or group of machines, which is a significant part of the owning and operating cost calculation. 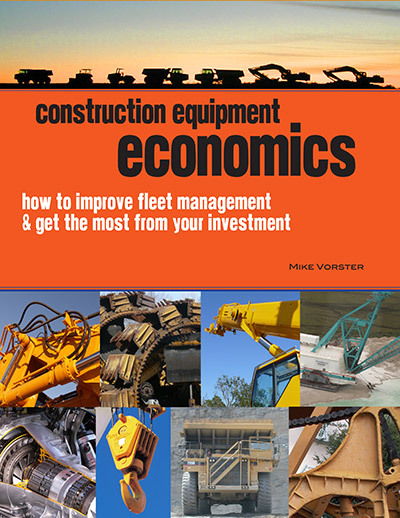 This small tool is developed based on the information and processes outlined in chapter 6, specifically section 6.2, of Construction Equipment Economics by Mike Vorster. Use of this small tool requires that the user know and understand these processes. The Owning and Operating Rate Calculator is based on the information and processes outlined in chapter 4, and specifically section 4.2, of Construction Equipment Economics by Mike Vorster. Use of this small tool requires that the user know and understand these processes. Residual Market Value Estimator is based on the information and processes outlined in chapter 5, and specifically section 5.1, of Construction Equipment Economics by Mike Vorster. Use of this small tool requires that the user know and understand these processes. The Sweet Spot lets you estimate owning and operating costs throughout the life of the machine so that the timing and magnitude of the machine’s sweet spot can be found. There are several sweet spot tools that can be used, depending on how you prefer to estimate owning and operating costs. For example, do you base owning costs on the true residual market value or on the depreciation charges applied to the machine?